SONOMA COUNTY WATER SOURCES: About half Sonoma County’s potable water comes from groundwater accessed through wells. 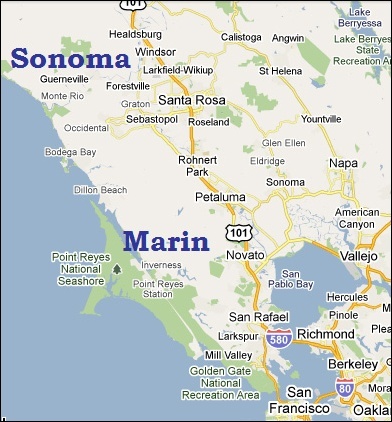 The balance originates in the Russian River, and is supplied through the Sonoma County Water Agency (SCWA). Recycled water use for agricultural and landscape irrigation is expanding to relieve demands on increasingly scarce potable water supplies. SONOMA COUNTY WATER SYSTEMS: Private wells meet some residential and agricultural needs. 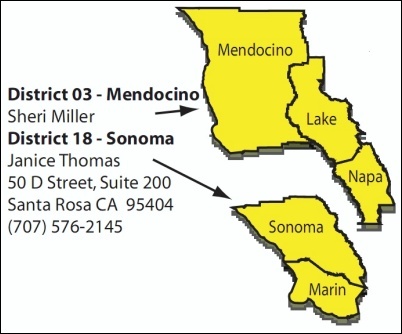 Some communities, like Healdsburg, Sebastopol and Cloverdale, are supplied by municipal well fields. Some are fully supplied by SCWA. Others, like Rohnert Park and Sonoma, use a combination of municipal wells and water from SCWA. The California State Department of Health Services, Drinking Water Field Operations, monitors water systems. Santa Rosa office: 707-576-2145.